The 2017 Mercedes-Benz E-Class technology creates capabilities that have never been available to drivers before. With theses advanced features at your disposal, you can count on traveling mile after mile comfortably, conveniently, safely, and swiftly. Learn about some of the highlights before visiting Mercedes-Benz of Wappingers Falls to test these features out in person. In order to prevent damage to your hearing caused by the loud volume of a collision, this system detects when an accident is imminent and emits “pink noise” to protect your ears. This advanced cruise control system will automatically adjust your speed based on the traffic in front of you. Plus, it will keep you in your own lane even when going around curves. Reaching your destination is easier than ever when you have access to turn-by-turn directions, real-time traffic updates, 3D maps, and even Yelp reviews while you drive. Your smartphone and sedan work together to provide you with instant access to information, entertainment, and assistance on demand. The 2017 E-Class technology also takes features and functions you are familiar with and improves them in exciting ways. For instance, many cars have steering-wheel mounted controls, but their functions are limited. 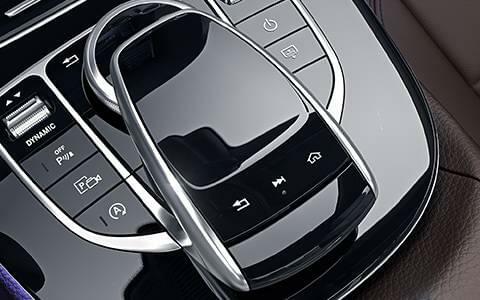 Thanks to an intuitive interface, you can control almost every system in the E-Class sedan while keeping your hands on the wheel. There is also a 12.3-inch display screen in the cabin that extend the range of infotainment options you have to work with while also enhancing the user-friendliness of systems that can often be complicated and confusing. To really understand how these high-tech features would affect your Poughkeepsie or Fishkill commute, you really need to try them out in person. Visit Mercedes-Benz of Wappingers Falls for an in-depth demonstration of exciting systems like mbrace®. If you like what you discover, applying for financing is quick and easy. Feel free to contact us to ask questions or schedule an appointment.